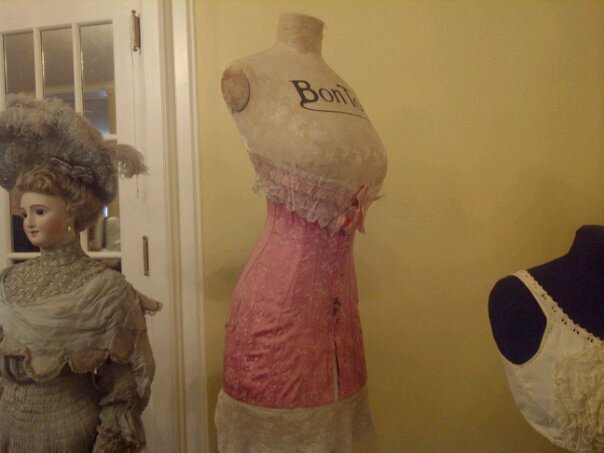 There was an exhibit on corsets last Sunday at Hycroft Mansion that I went to with Huong. 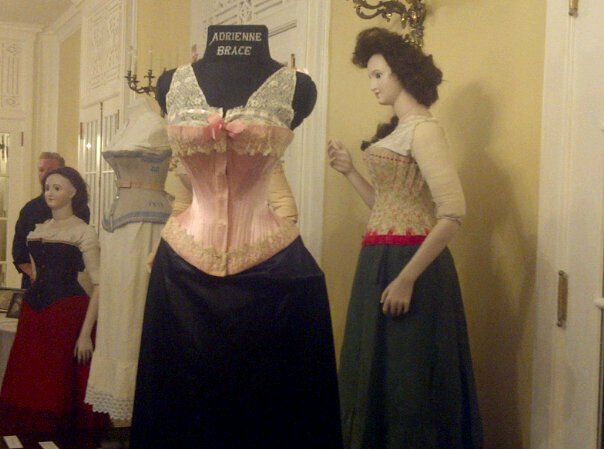 The event featured a fashion show and showcased corsets from 1860-1920 from Melanie Talkington’s private collection. Melanie owns the Lace Embrace Atelier here in Vancouver. She’s created corsets for famed burlesque performer, Dita von Teese, and for Cathie Jung, the Guinness World Record holder for the smallest waist. Her creations have been featured in many movies and TV shows, including the recent movie, Sucker Punch which starred Vanessa Hudgens, Abbie Cornish, Abbie Cornish, Emily Browning, and Jena Malone. Local fashion historian, Ivan Sayers gave an hour long lecture which I found really interesting and informative. Plus, he’s pretty funny so it was definitely very entertaining. 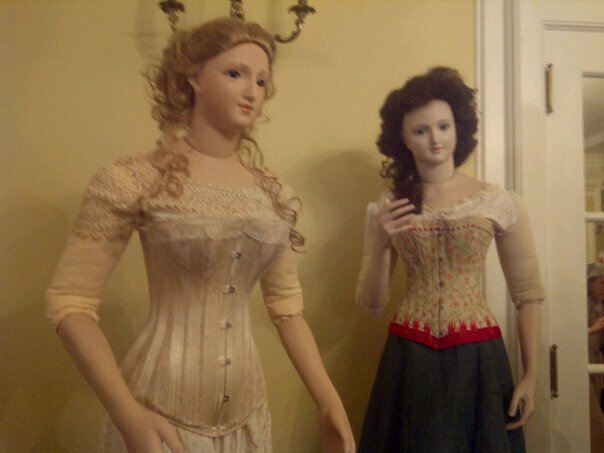 The corsets were shown on these dolls. Kinda creepy but you can definitely see how tiny the waists are on those corsets. Some of the tidbits that Mr. Sayers shared with us were that the first corsets were made out of metal and that corsets were first put on girls when they were one and a half years old. Women have come a long way from that, thankfully.